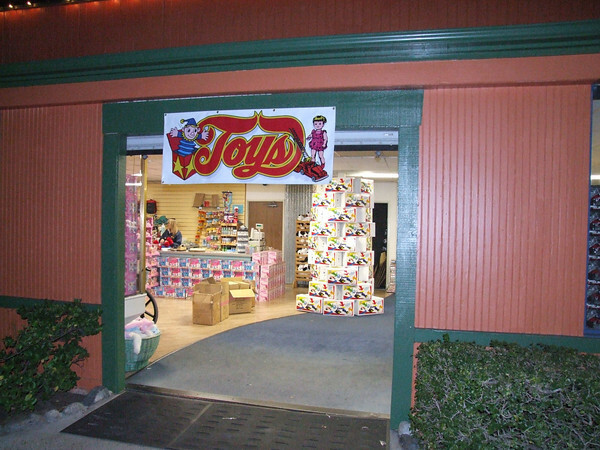 Guests can purchase a toy for $20 from a temporary shop set up outside of the Knott's entrance and hand it over to the marines as a Toys for Tots donation in exchange for a ticket to Knott's Berry Farm. Guests also have the option of buying tickets online for $20, and Knott's will donate the toy for them. Guest who bring their own toy valued at $20 to donate are given a voucher for a discounted $20 admission. I appreciate that Knott's Berry Farm is running this promotion, but when I saw the toys they were selling I was disappointed. The toys Knotts offered for sale are not worth a full $20. They are off brand toys that look like they'll break within a few uses, and there was a limited selection to chose from. The toys offered are not toys that I would purchase for my children. If you want to take your child to Knott's Berry Farm for only $20 a ticket then this is a way to go. However, for $65 you can get a season pass that is good from now until 12/31/2012 with no blackout dates. TIP #1: Try to take the kids during the week, the donation weekends tend to be extremely crowded, especially the Camp Snoopy area. TIP #2: A few years ago Knott's extended the Toys for Tots promotion by a few more days without much notice, if you can't fit a visit into your schedule by December 18, you may want to call to see if they've added more days. To buy a ticket online or review other Knott's Berry Farm ticket offers, click here. Drive-In Movies: $10 Carload, Tonight only! Free Holiday Greeting in the Pennysaver!